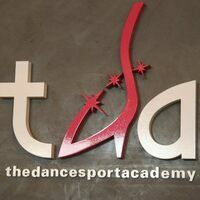 The DanceSport Academy focuses on dance creativity and proper techniques in an environment that provides work-life balance, health and fitness awareness, confidence and self-esteem. On a mission to provide a dynamic learning hub in creating art and fitness awareness through ballroom dancing in a fun-loving and stress-free environment, The DanceSport Academy are committed to provide professional instructions and to ensure that all students enjoy the learning experience. Discover dance, The DanceSport Academy way!